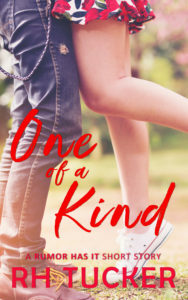 One of a Kind is a FREE short story that’s exclusive to newsletter subscribers. By signing up for the newsletter you not only receive One of a Kind, you’ll also receive periodic updates, exclusive excerpts, and be the first to know about new releases! Plus, any future short stories I make available, I’ll offer to my newsletter first. For free! You can unsubscribe at any time.